We are sensitive to the difficulties our clients face at such times and our floral tributes reflect the personal sentiments of the individual and family. We are able to provide funeral flowers in London, including church decorations. If you are organising a memorial service, we are able to provide church decorations and venue memorial flowers, whether it is for a small intimate gathering or for a larger congregation. We often provide flowers to Christchurch Kensington, St Pauls Knightsbridge, St Sophia Bayswater and Stephens and Carmelite Priory Kensington. You can read testimonials from our clients here. Kensingtonflowers are able to provide funeral flowers for delivery in central London, ranging from principal family flowers, sympathy tributes from friends and loved ones to church decorations. 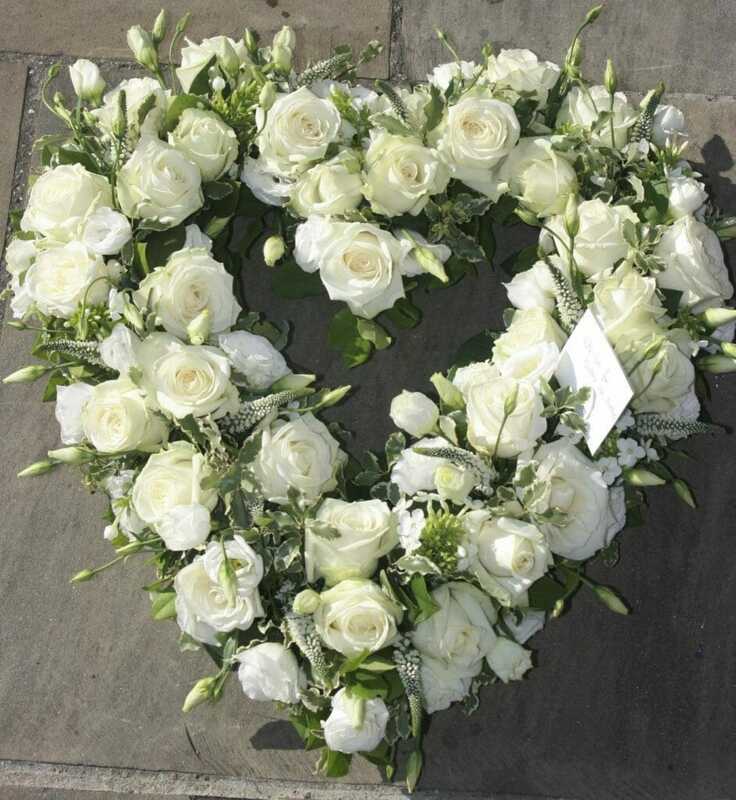 Funeral flowers can be ordered for delivery to the undertakers or family home. 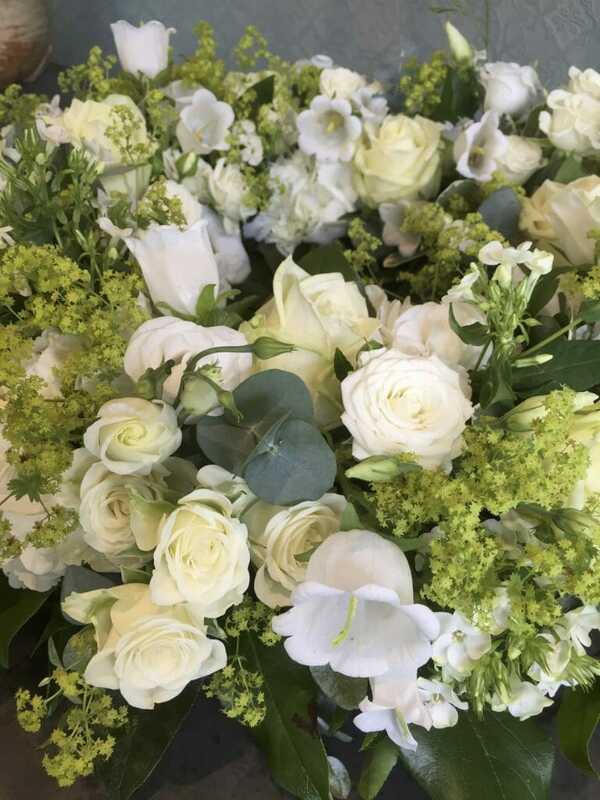 We often deliver flowers to funeral directors locally in Kensington and Chelsea, Westminster, funeral directors in Nottinghill, Bayswater, Fulham and the Victoria area. We have a selection of floral tributes available to buy online here, alternatively please do not hesitate to contact us to speak with us personally for more information. A minimum of 48 hours notice is preferred for all funeral flower orders. Finding the right words to express your feelings of loss can be hard at such sad times. We believe flowers can truly help to convey heartfelt emotions of compassion, love and sorrow. Our funeral tribute flowers are made with care, sensitivity and personal attention to detail. If you would like advice on what flowers to offer, please contact us and we will be able to help you. Principal flowers for the coffin, for example a full spray arrangement are best discussed with us over the phone or in person. Some ideas of floral tributes are a wreath, round posy arrangement, tied sheaf or more bespoke tributes like a heart or basket of flowers. We have a small selection available to order on-line here alternatively contact us directly and we will be happy to help you.